The Hot Summer Night 5k took place on a “famously hot,” muggy and humid, and almost rainy Saturday night in the Shandon neighborhood. It was in its 25th iteration but this was only the second time I’ve ran it. As a former military guy, I love tradition and keeping history going, so when I read the article by Mark Bedenbaugh that this race started back in 1993, I was even more interested in giving this race another go around. Last year, we started and finished at Hand Middle School, however, this year the course was altered and we began next to the gas station on Devine and King Streets. At promptly 7:15 PM, 248 of us took off and headed south on King Street before turning left at the end of Hand Middle School and onto Duncan Street. That first mile was very flat and easy. Before every race, I always try to position myself towards the back; that really helps with video capturing with the GoPro, though back in my early military days it was to stay clear of the extremely fast runners. 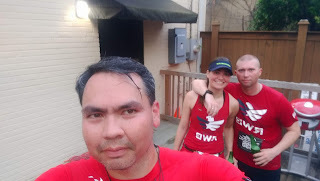 On this night though, while I started almost as far back as possible, I ended up going much faster than I had wanted (a 7:47 mile according to Strava versus the 8:30ish pace I originally planned). It was pretty crowded at the beginning, but that made it fun to weave in and around people on the course; of course, that lasted only the first half mile or so. The second mile involved turning off of Duncan Street and onto Bonham Road before swinging another right onto Monroe Street. But right before those turn sat the water stations which I sorely needed. I sweated like a mob boss in a sauna out there and the cups of water were quite refreshing. The weather was still so muggy and humid but the clouds didn’t break meaning no rain yet. There were a lot less people around me, even with the water break, so my pace dropped to a 8:17 mile. I guess I really need a crowd to keep moving. Pushing through that third mile was more of a chore than I would like to admit. My right leg cramped up around the two and a quarter mark and it would happen two more times. That leg of the race though is where the little mind games of seeing hills affected me, too. It was definitely not my best running moment. I should mention that I really love running through the entire area since it’s pretty well shaded and there are supportive groups of people who come out of their homes to cheer us on. In fact, somewhere on Monroe Street was a family who had their hose on to cool off runners as they went by. We eventually hang a right when Monroe Street crosses South Queen Street and take another right at Duncan Street. Hand Middle School is in clear view, but we head back north and push through on King Street until swinging back to Devine Street. That last turn was very welcoming and gave a nice small strip to do a final gather-all-your-adrenaline-and-sprint to the end. I could hear the crowds and see people taking pictures as I attempt to propel and thrust my way to that finish line. After crossing and finishing, I head to the back parking lot at Strictly Running to get my results, but I stay for a while to enjoy the food from PDQ, who had grilled AND fried chicken out in addition to their lemonade and three different types of cookies. Pizza, hummus and pitas, sliced fruit, and chicken salad were also on hand as well as cups of water and Gatorade. K3 Koala Bottles also had a stand set up; I have one of their bottles for my bicycle and absolutely love using it. 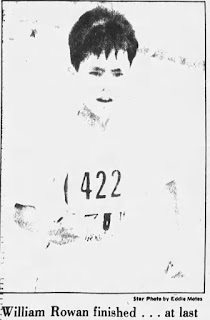 While this is the 25th anniversary for the Hot Summer Night 5k, this race took place on the same day as a particular race I did as a child 35 years ago. That race, the Woodstock 5k, was then known as the Midsummer Morn 5k and was organized by the Alabama Shakespeare Festival before they moved to Montgomery, Alabama. When that happened, the Anniston Runners Club agreed to take it over and eventually renamed it for the street it took place on. 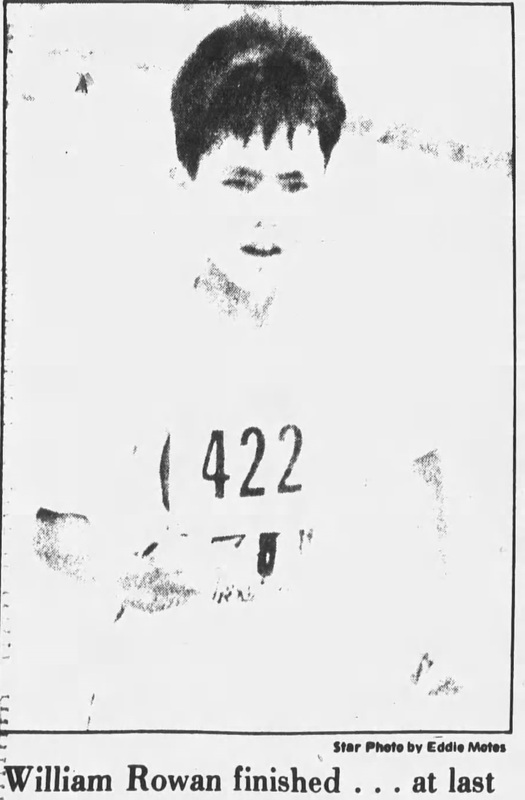 That particular race has become the Anniston Runners Club signature race and according to the Anniston Star, the local newspaper, over 1200 people participated in that race this year. It seems that race has grown significantly since I first took part back in July of 1983. While I couldn’t make it to the then called Midsummer Morn 5k, I still like taking part in what I consider a Columbia tradition with the Hot Summer Night 5k.